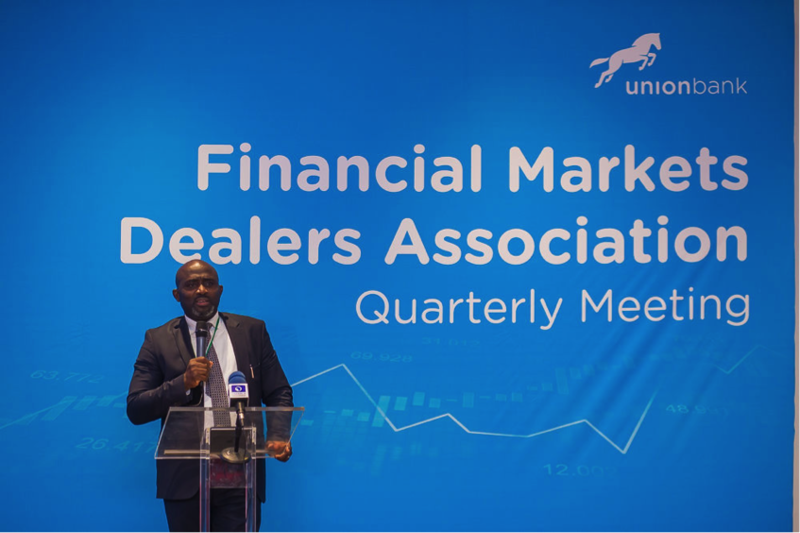 Union Bank recently hosted the quarterly general meeting of the Financial Markets Dealers Association (FMDA) in Lagos. 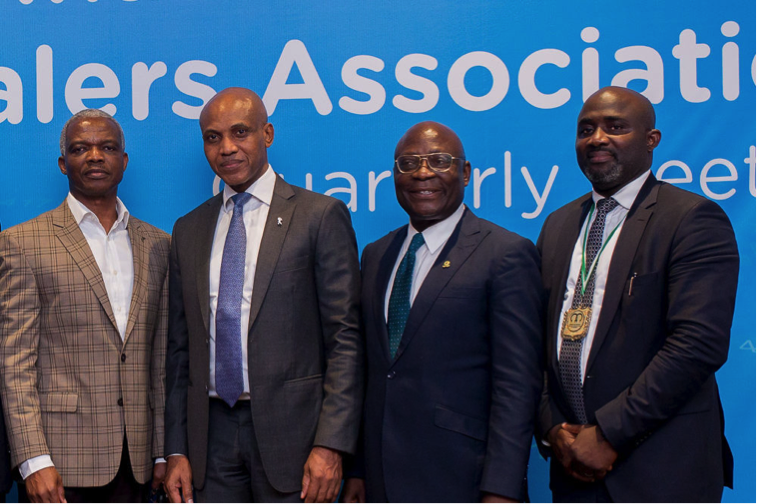 L-R- Renowned Economist, Dr Doyin Salami; Head Corporate Banking and Treasury, Union Bank, Emeka Okonkwo; President, CIBN, Dr Uche Olowu and President, Financial Markets Dealers Association (FMDA) Samuel Ocheho, at the quarterly general meeting of the association sponsored by Union Bank in Lagos recently. The meeting was an opportunity for treasurers of Money Deposit Banks (MDBs), market players and their institutions to exchange ideas, share information and deepen business relationships for the development of the financial markets. 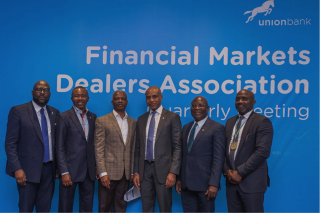 Union Bank’s Head of Corporate Banking and Treasury, Mr Emeka Okonkwo and other Senior Executives were joined by dignitaries including the Governor-elect of Lagos State, Mr Babajide Sanwo-Olu represented by Mr Yomi Oluyomi and the President, Chartered Institute of Bankers of Nigeria (CIBN), Dr Uche Olowu. The programme featured an informative presentation by Economist, Dr Doyin Salami on the topic ‘Navigating the Next Level for the Economy and Markets’. 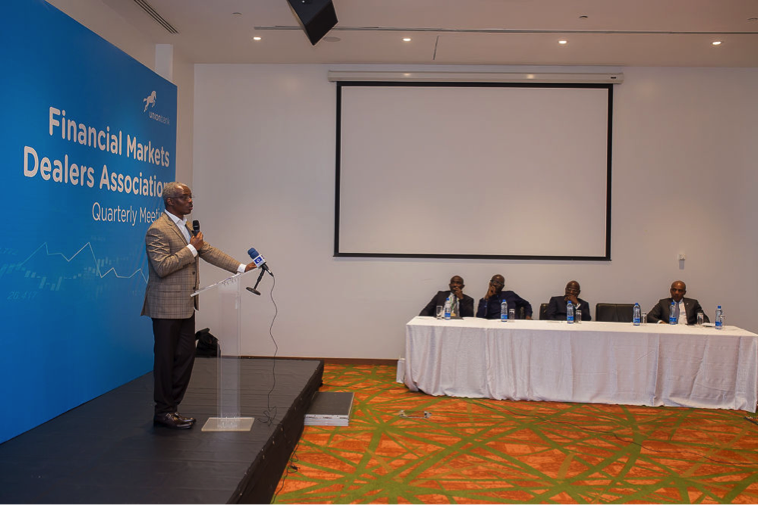 Dr Salami shared insights into the 2019 economic outlook, to assist market players and Union Bank customers as they position themselves for the year. 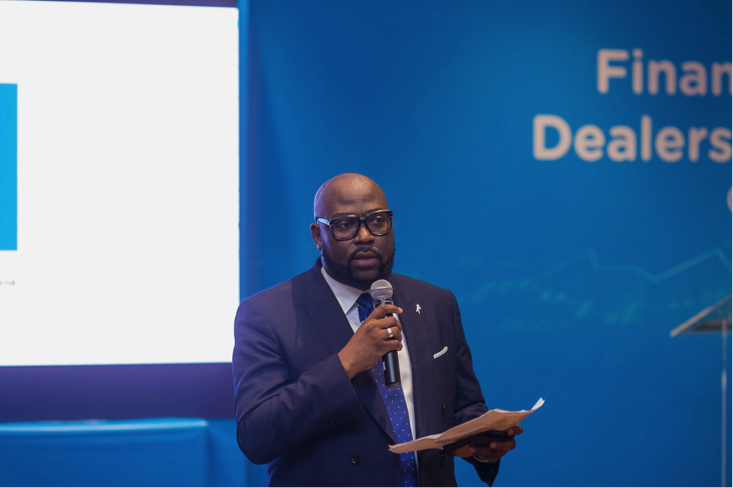 Union Bank remains focused on repositioning itself as a strong player in the Nigerian banking sector – A simpler, smarter Bank.